The honing process is used to produce smooth surface finishes inside bores, or to hold precise tolerances on bore diameters. Honing produces the required surface finish or finished diameter by utilizing an abrasive stone, which turns while being moved in and out of the workpiece. Cutting fluids are used to provide smooth cutting action and to remove the cut material from the bore. 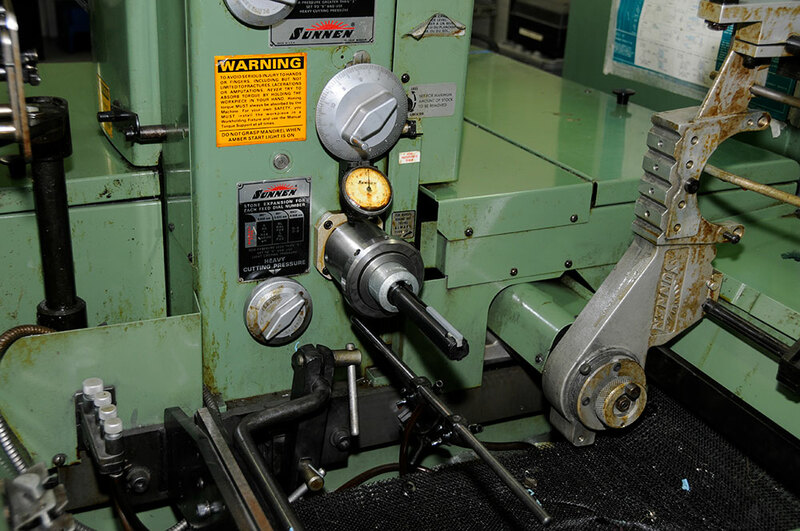 MicroGroup has the capability of honing inside diameters of tubing and machined bore sizes from Ø.064″ to Ø1.00″ using its Sunnen honing machine. The process involves introducing a mandrel (tool) into an ID or bore to remove debris and/or to change an ID finish. A lubricant may be used. The material is abrasively removed by the shearing action of the grains contained in the honing tool. This allows inaccuracies of previous operations to be corrected. Roundness is generated by the tool rotation seeking the centerline of the I.D. or machined bore. Finishes of 8µin and better can be achieved depending on the material and size. The reciprocating motion of the tool generates straightness. Multiple grits and stages must be used in sizing if the rough diameter is not within certain limits of the finished requirements. MicroGroup also uses a process called “flexible-honing” or “ball-honing”. This process uses a resilient and flexible honing tool with a soft abrasive cutting action. Flexible-Hone tools are made with a heavy-duty twisted wire shaft that holds flexible nylon strands coated with abrasive globules or balls attached to the end of the nylon strands. These globules or balls conform to the shape of the surface to be honed to create a smooth, consistent finish in a cylinder bore or tube I.D. Flexible-Honing is also an excellent choice for cleaning the inside diameters of tubing.